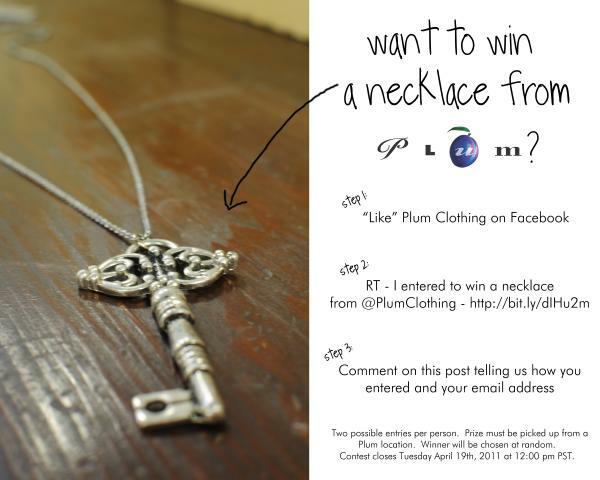 Connect to Plum's Facebook Page here. 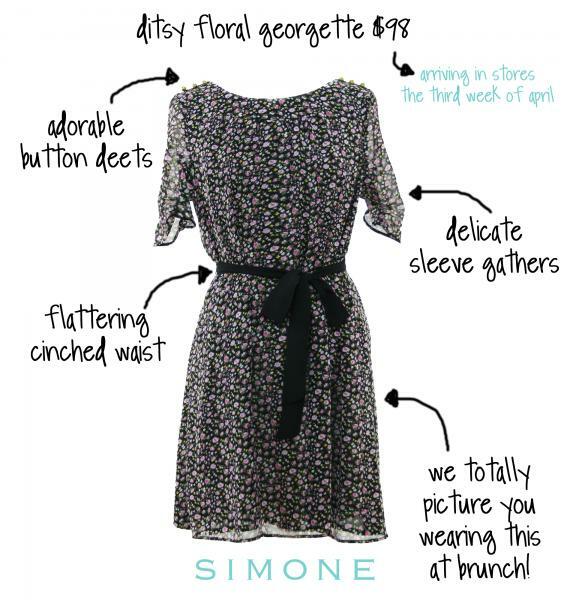 If you are pear shaped, go for a belt that emphasizes your waist, without being too tight. If the belt is too fitted to your waist, you will draw attention to the proportions of your top half compared to your lower half. Also, avoid belts that are worn slung on the hips as this will draw the attention of the eyes. Your best bet is a thicker belt worn around your waist. If you have an hourglass figure, go for a fun, fitted waist-cincher to draw attention to your curvy shape. But if you are larger busted, avoid belts that are too wide, as these draw attention to the size of your bust. If you are triangle shaped, with broad shoulders, wear a belt to define your waist and emphasize the natural curve. A skinny belt would do just that! If you are apple shaped, go for a belt that is in proportion to your body. You want to avoid super skinny belts, but you could wear a chunkier belt quite well. Try wearing the belt slung asymmetrically on your hips for a little personality. If you have a long waist, belts are your best ally for breaking up the length of your body, and creating balance in your shape. 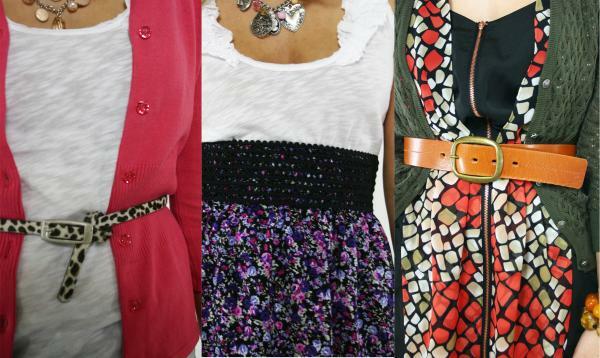 Belts in fun, bright colours will work wonders. If you have a short waist, however, you would want to wear a belt lower on your body to lengthen your upper half, and it’s best to look for belts that match the colours of your top. 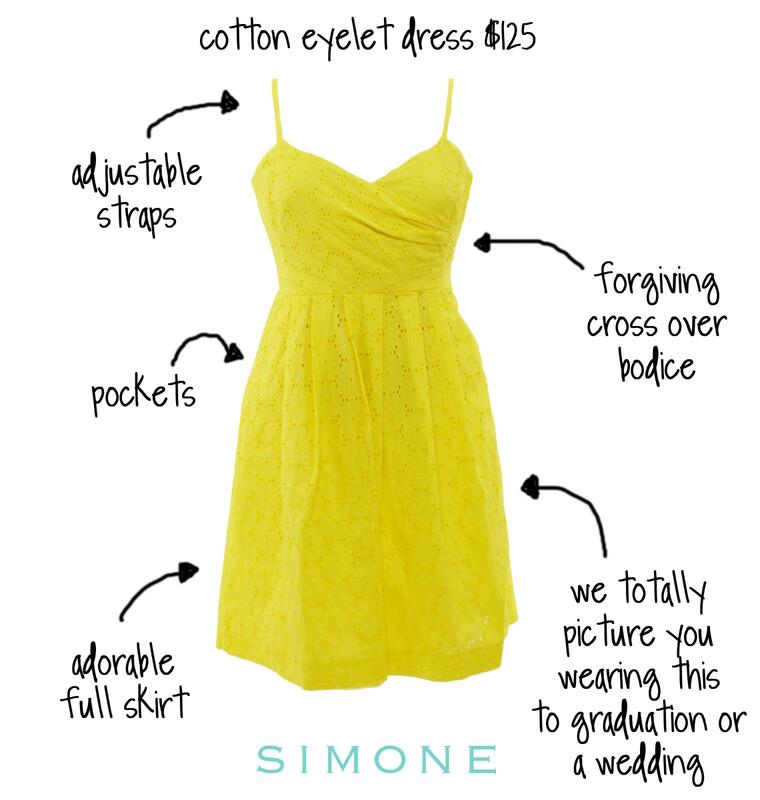 "As it turns out, we don't know anything about boyfriends, but we do know dresses!" We were trying to be playful but it seems that one or two people took offense to boyfriends going to sisters like discarded dresses. Who knew? But we are expert in our dress designs ... and it just might be in our genetics. 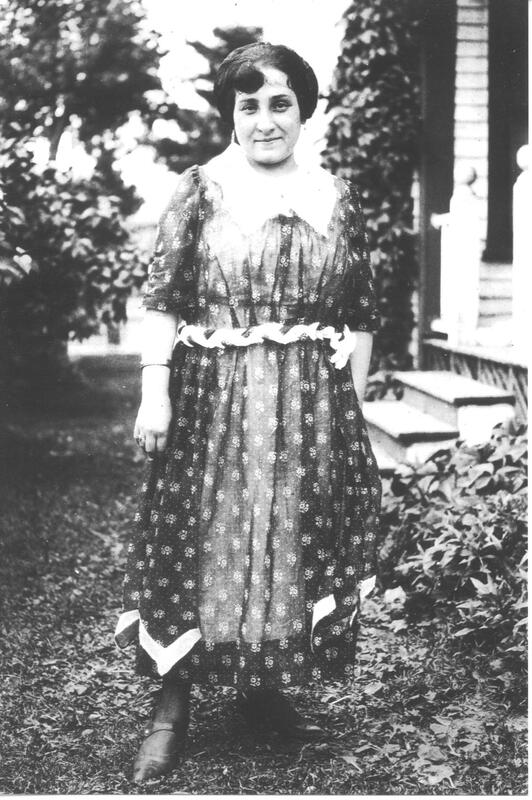 Here is a fun photo of Great Grandma Tobias (you may recognize the name of our "Tobias" line). The picture is of the great grandmother of our daughter Simone (which is the name of our dress line). We thought you might enjoy the lovely dress she seems so proud to wear. As nearly as we can calculate this picture was taken in Saint John NB in 1920. She was born in Lebanon in 1900. We had a lot of fun coming up with this line! First there was, "Dresses are like boyfriends ... if they are cheap they won't last the season" or " ... they have to make you look good yet give you the freedom to move " or ... they have to fit you and not the other way around." 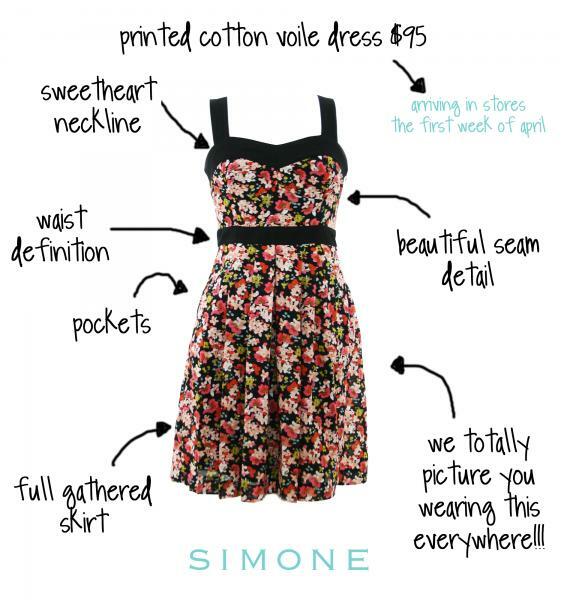 But our favorite was "Dresses are like boyfriends ... if you don't love them they end up going to your sister." There is something thrilling about getting the right dress ... you know the one ... the one your friends comment on whenever you wear it. And there is nothing that can transform you like the perfect dress - when you put the right one on, the result is instantaneous, you just know it ... it feels perfect! But, finding that dress is not always easy because dresses are individual and the same dress can look completely different on someone else. So finding the right one for you can take time ... and sometimes you need help. 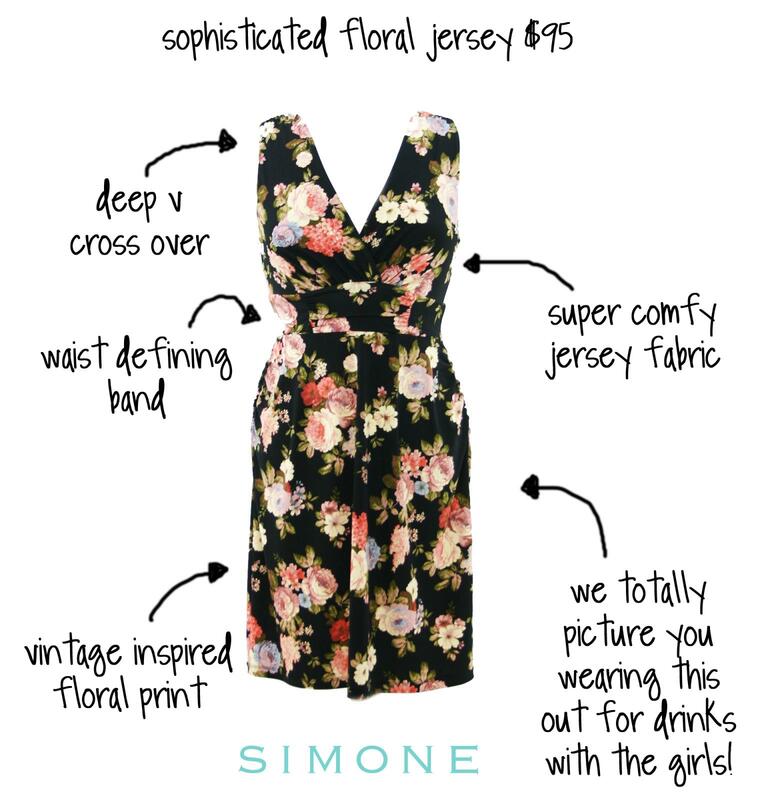 That is where we like to brag about our Simone dresses and the help that we can give you to find the one that is right for you ... and your lifestyle and your figure. When you find it ... you want it to last. 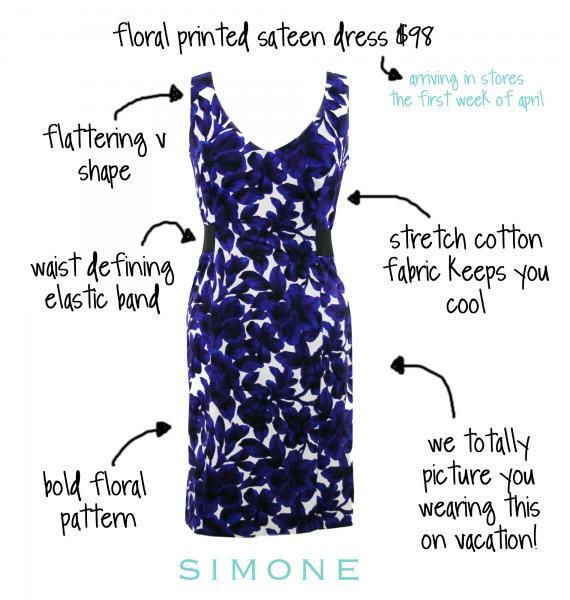 We design a lot of dresses at Plum but we do not make that many in each style. They are carefully made right here in Vancouver where we can watch each step. Take a look at some of what we have this Spring!